Create a "natural" learning environment for your next company meeting, youth training activity or organization retreat. The Florida FFA Leadership Training Center is located on the shores of beautiful Lake Pierce in Haines City, Florida. It is owned and operated by the Florida FFA Foundation, Inc. The Foundation is a 501c3 organization for the purpose of providing financial support and services to the educational activities of the FFA members and chapters in Florida. 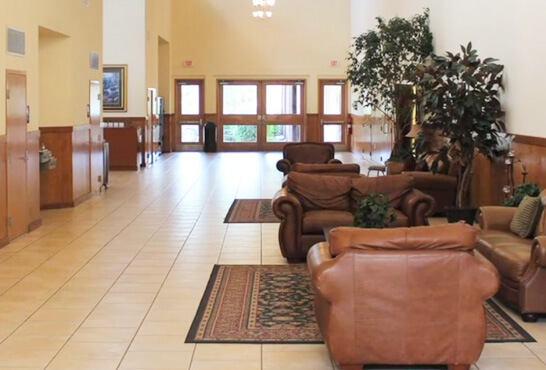 LTC has 60 lodging rooms from various hotel style rooms in our lodge, to individual villas with a common area and full kitchen to our beautiful Farm Bureau Guest House! Say your vows on beautiful Lake Pierce, Florida. From exquisite wedding receptions to casual rehearsal dinners, we have 15,000+ sq ft of event space to fit your every need. 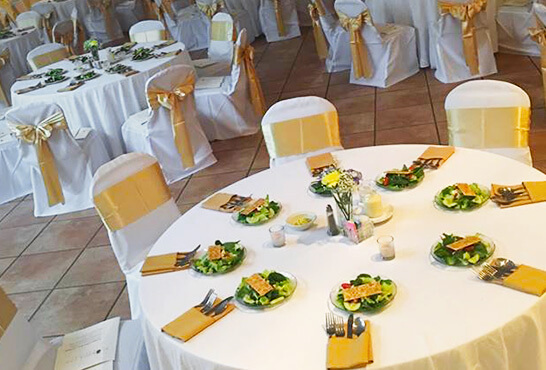 With 15,000 square feet of flexible meeting and event space in Haines City, we have space for your meeting, business conference, family reunion and wedding reception needs. We can plan a variety of activities for your group or you can enjoy your leisure time exploring or playing on the grounds and around the lake. Learn more about LTC's amenities. Beautiful remote for location, tasty food, and friendly staff! We came for a wedding this past weekend and will definitely make it a point to visit again for future events. Excellent camping facilities. The staff couldn't have been nicer in accommodating us. Our kids had a blast playing outside, running the trails, climbing trees, etc. Will be back for sure. Wonderful time here with Community Bible Study Leaders Council ladies! The staff really went above and beyond to make sure our stay was a lovely experience! The lodge was very nice! And to top it off, the weather was fantastic! Peaceful, clean, great food, well organized, one feels like a different person when it is time to leave...so relaxing! This is a great place to go to, meet new people and learn so many new things. I have been many times with my chapter . My favorite experience so far is middle school Conference. The state officers are always great and they help out with everything I go to. This is definitely my favorite place ever. Have questions or ready to book your next event? Give us a call or email to reserve your dates or schedule a tour. The Florida FFA Leadership Training Center is located on the shores of beautiful Lake Pierce in Haines City, Florida. It is owned and operated by the Florida FFA Foundation, Inc. The Florida FFA Leadership Training Center is located in central Florida and we are miles away from the traffic congestion, cramped hotels, and tourist attractions, which often disrupt meetings and distract participants.